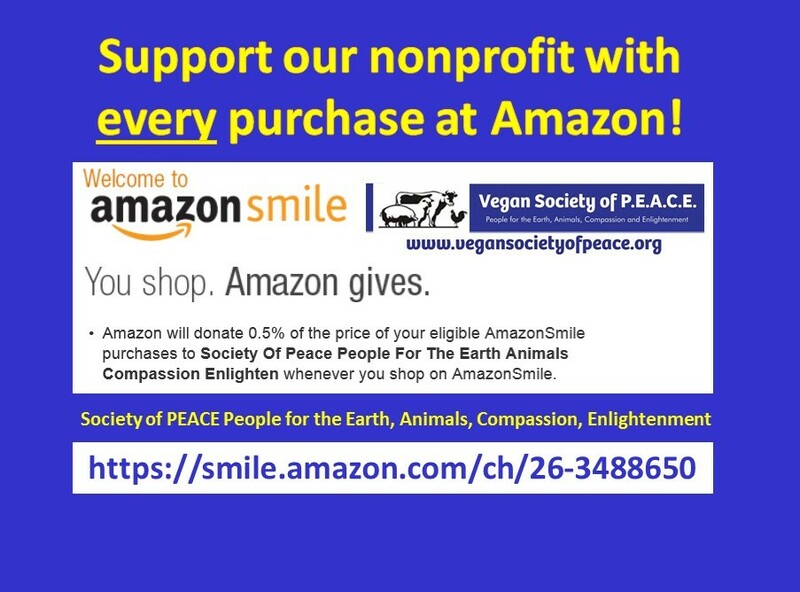 Vegan Society of PEACE is a 100% volunteer-run 501(c)(3) organization, which means 100% of donations and supplies are used for our outreach. Your donations are tax deductible to the fullest extent allowed by law. Our organization is also a GuideStar Silver Level charity. We will gladly accept any items from our "Wish List". Please contact us if you are interested in donating supply items, or if you'd like a list of items from our "Wish List". Many companies also offer a "company match" and will match donations made to our nonprofit. Use the secure PayPal link below to make a monetary donation to our volunteer-run community organization. *NOTE: This link is not to be used for VegFest Perk Passes or other tickets to our events, as we use an exclusive ticketing platform for those transactions. Our phone number is (832) 3030-VEG or 832-303-0834.